It's nearing the end of December, and we have to say it's been a pretty excellent year. There have been a lot of changes in our games and in our offices, and we're really happy with the direction everything is moving. With the holidays coming up, we thought we'd take a little time to remind you of all things Wyrd, so roast some chestnuts on an open fire and see what's going on for us. 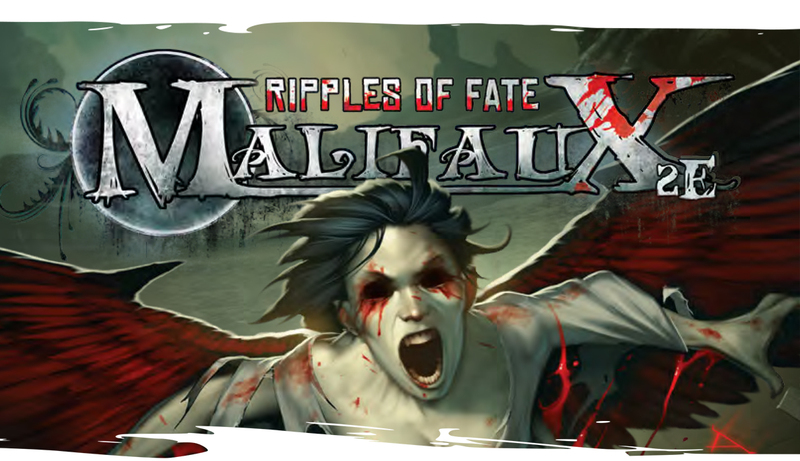 We've been playing close attention to Malifaux in the past few months, and we're happy to announce some changes effective January 1st, 2016. The first change is to the Gaining Grounds rules document, updating it to 2017. There are a few minor changes to the overall document (including increasing round times by fifteen minutes) and a variety of changes to Schemes for the upcoming year. 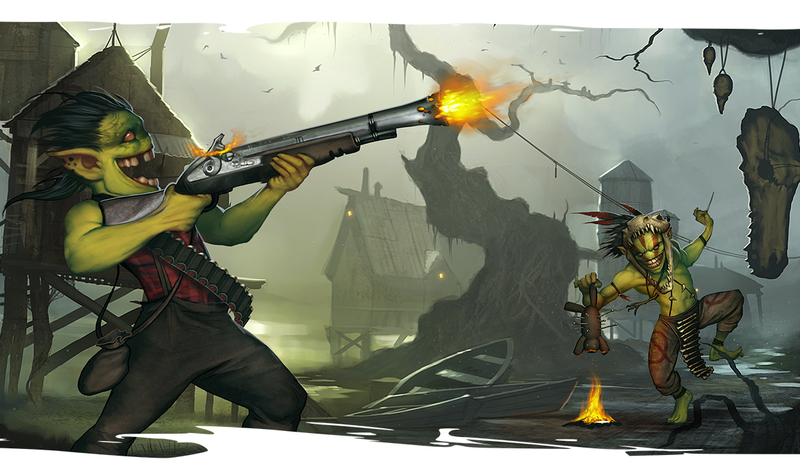 The second change is a new selection of Malifaux errata which is intended to address some problem areas for the game. This errata isn't exclusively about balance, though it does have some balance alterations. For more information, please check our forum post on the errata. Both of these changes will be available in the coming days, and they will be effective January 1st. All changes will be available as free downloads, and, in the case of stat cards, made available for print on demand. Through the Breach is continuing to grow and expand, adding new information, settings, and characters to the Malifaux universe. Most recently, we released Into the Bayou, an expansion book detailing how to play Gremlin characters and what life in the Bayou is like. 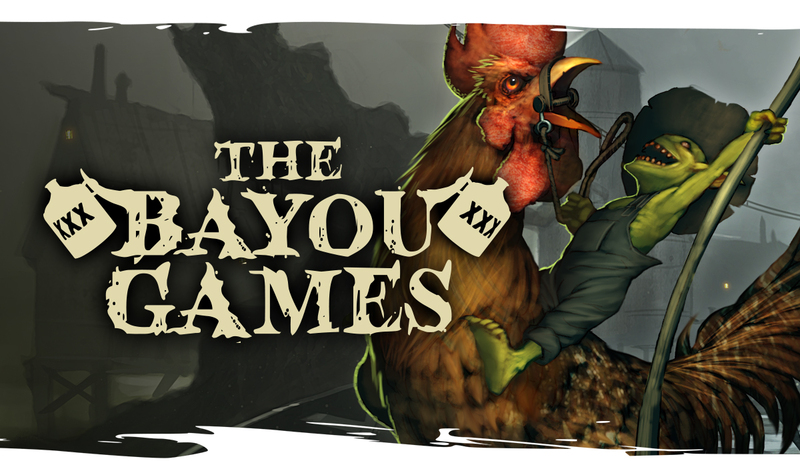 The Bayou Games is a full Penny Dreadful adventure for Gremlin characters. Players must compete in the dangerous Bayou Games in an effort to recover something for their big boss. Click the image above to check this adventure out. 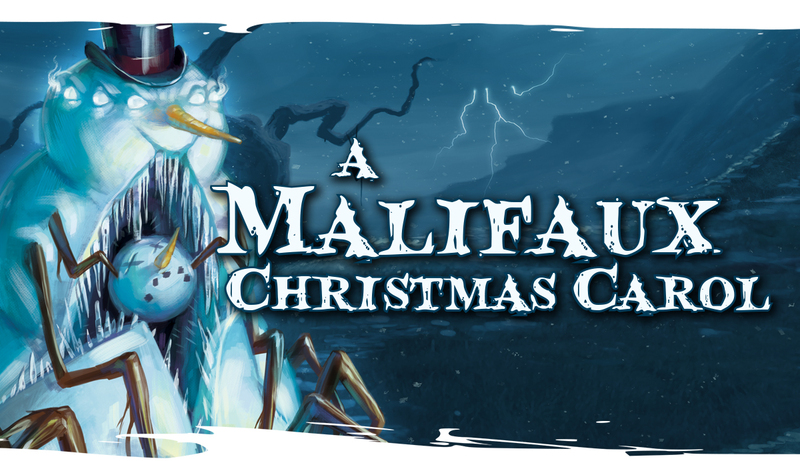 A Malifaux Christmas Carol is a one shot Penny Dreadful adventure. It takes place in Malifaux City during the Guild's Christmas Gala. Something goes wrong and players must attempt to save the Gala and save the season! Click the image above to check it out. 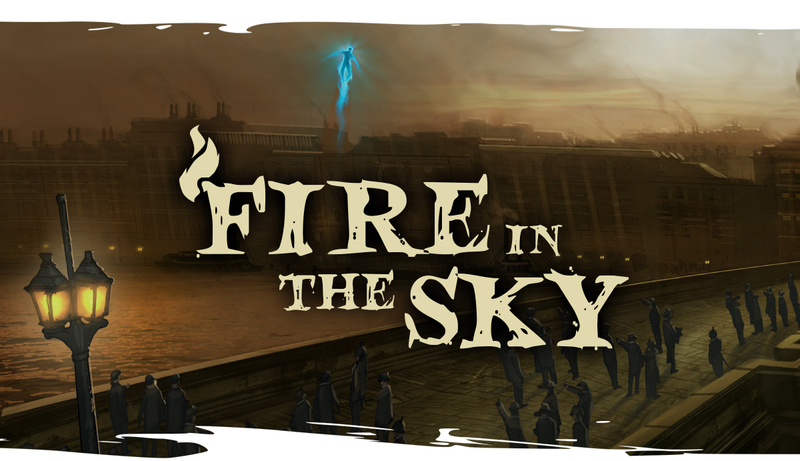 The Fire in the Sky Penny Dreadful will also be available in the coming months. This adventure takes place in San Francisco during an appearance by the enigmatic Burning Man. Through the Breach is currently offering a great deal through the Bundle of Holding! The Bundle of Holding is a great way to get a lot of PDFs of RPGs for a cheap price and have some of the proceeds go to charity. If you've been thinking about picking up Through the Breach, there is no better time to get it at a low price while also giving to charity. Check out the Bundle of Holding today! The Other Side is an exciting new miniatures game line for Wyrd. 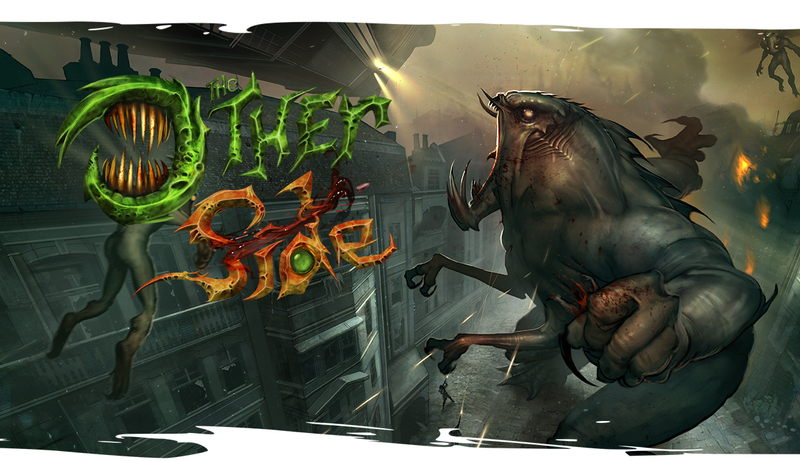 Currently in a Kickstarter, The Other Side offers a great opportunity for players looking for a miniatures game. The rules are steamlined and easy to learn, and all the miniatures come preassembled. Featuring an average of 30-50 models per side, The Other Side looks impressive on the tabletop. This game offers great cinematic gameplay coupled with the depth of decision making players want from their miniatures games. Check out the Kickstarter if you want to know more about the game. Consider backing this game today! Don't forget all the other offerings from Wyrd! 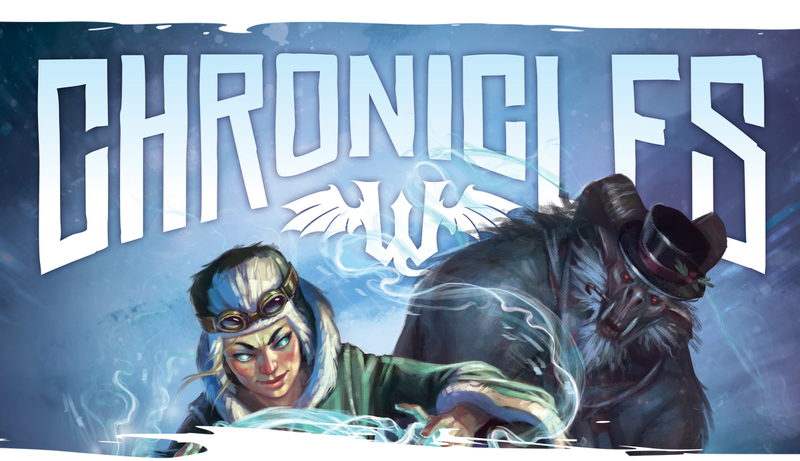 This month saw the release of a new issue of Wyrd Chronicles, our free digital magazine. Featuring an interview about The Other Side, an article about Malifaux on a budget, and two great stories, there's no reason not to check out this free magazine. 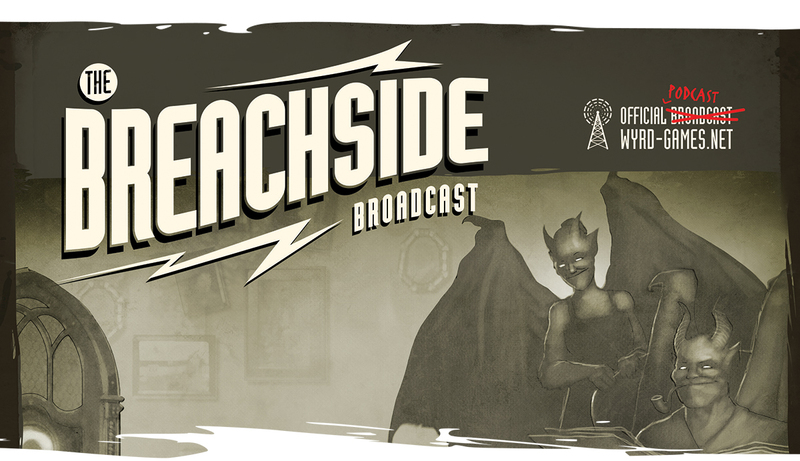 We also have the continuing Tales of Malifaux on the Breachside Broadcast. These free podcasts can catch you up on all the happenings in the Malifaux world. New episodes are released biweekly. And finally, we have our monthly local game store promotion. Local game stores are the bedrocks of many gaming communities, and we encourage you to support your local stores! 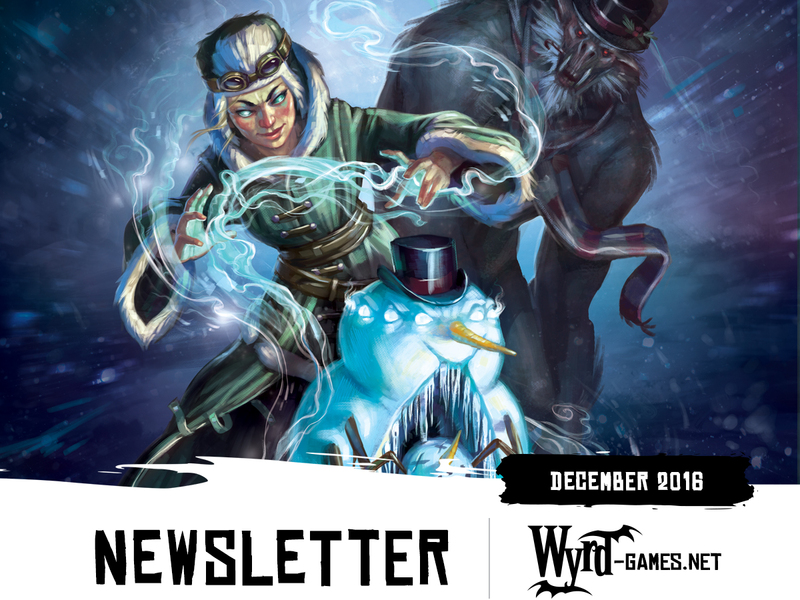 Every month, Wyrd offers a special promotion for those shopping in their LGS. You can find full details here. Thank you everyone for your support and continued interest in our game lines. Everyone at Wyrd appreciates our amazing community, and we hope you all have a wonderful holiday season. May all your flips be Red Jokers.